Unity Day is a public holiday in Zambia. It is celebrated on the Tuesday following Heroes' Day, which is usually (but not necessarily) the first Tuesday in July. Zambia is a multinational state, its population comprises over 70 ethnic groups. Most Zambians belong to nine major ethnic groups: the Chewa, Tonga, Bemba, Tumbuka, Luvale, Lumba, Lozi, Nkoya and Kaonde. Only two of them (the Bemba and Tonga) have enough people to constitute more than 10% of the country's total population. Unity Day was established to promote the idea of national unity as a means to prevent the nation from falling apart. It aims at fostering solidarity between various ethnolinguistic groups and maintaining the spirit of national unity. 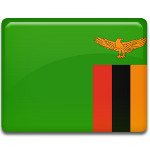 The official slogan of Zambian Unity Day is the country's motto “One Zambia, One Nation”. It was originally proclaimed by Kenneth Kaunda, the first President of Zambia. The holiday is marked with official speeches in which the incumbent President reminds the people of Zambia that decades ago people of varying ethnic groups, social backgrounds and political beliefs united to struggle for Zambian independence and won this battle. As Unity Day is a public holiday, it is a non-working day, just like Heroes' Day.